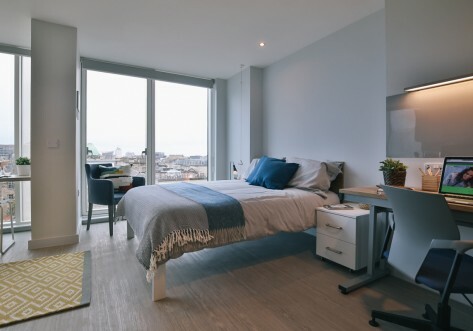 Kelvingrove House student accommodation has a mix of luxury studios and en-suite cluster student apartments perfectly positioned for you to make the most of student life in Glasgow. 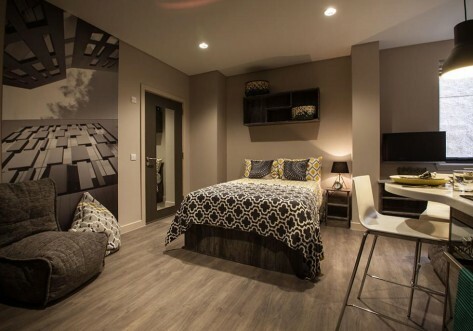 Located in the popular West End, only a 10 minute walk to the University of Glasgow and the same distance to University of Glasgow Students Union, Kelvingrove House is the must have student accommodation in the city. You’ll be spoiled for choice when it comes to culture and history in Glasgow. A visit to Kelvingrove Museum and Art Gallery is a must to view the treasures displayed within its imposing Victorian walls, while the works of influential designer Charles Rennie Mackintosh can be found across the city. 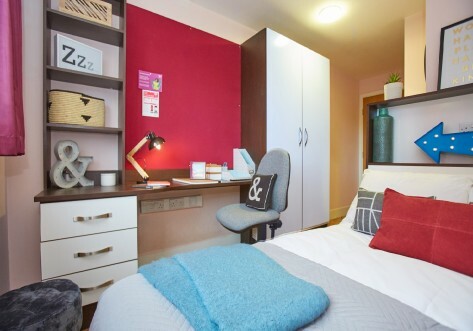 An en-suite bedroom within a 6 bed cluster flat measuring approx with a ¾ bed, en-suite bathroom study area and wardrobe. 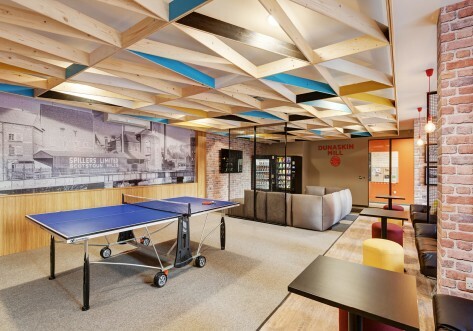 The shared area includes a lounge and kitchen area and up to 100Mbps WIFI throughout.